Why is it important to never share your surname online? People could look it up in the phone book or adress book and find out more about you. because they may try to use your last name as their own and therefor may be able to access other information. People might make fun of it. Good thinking so far, Wheke! Once someone has your surname, they can use it to find other information about you, which isn't safe. Because people might be stalkers and search you up online and find your information. There a lots of people online that could search you up and if your last name is online that means they could find your family information. Because then they would know your last name and if you have Facebook they could search you up and ask you very scary questions like were do you live? What might 'digital footprint' mean? Good point, Carlos. Employers often Google prospective employees. You might not want your comments from St Mark's School coming up in a job interview! It may mean a tracker that's like a footprint. It might mean that people could track you down. Sensible guesses so far, Wheke. 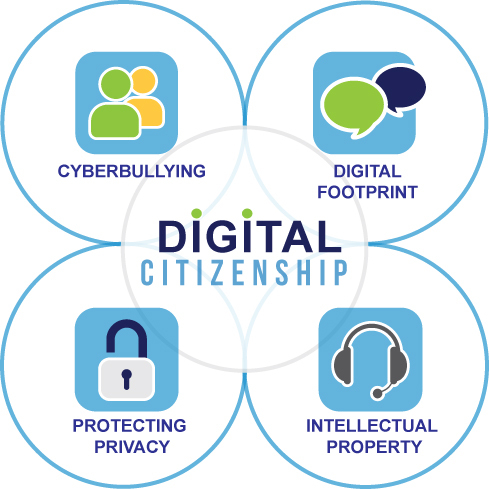 You might need to do some extra research to learn more about the idea of a digital footprint. I'm not sure what it means, but it might mean if you post or write something online then it's like leaving a footprint.Or if you make an social media account then it might be there forever. You might comment or post something and later on someone could track it back to you. You leave a footprint. Great answer Lola. Next time, click reply, so your answer is listed with the question. Because your never supposed to share personal information. if you have also put your first name and maybe a picture of your self on social media people could search you up and STALK you!!! thats supposed to be on the surname question sorry!